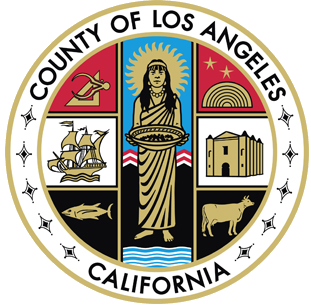 The Los Angeles County Department of Medical Examiner-Coroner performs analyses in Drug Chemistry (medical evidence collected from the death scene), Toolmark Analysis in biological specimens, Toxicology, and Trace Evidence (Gunshot Residue analysis). Other common requests of the laboratory are detailed below. To learn more about the main functions of the laboratory, see below. For current fees and/or specific requests not detailed here, please contact the Forensic Science Laboratory at 323.343.0530. The toxicology section performs analyses on postmortem and human performance (antemortem) specimens (blood, urine, etc.). Requests for testing that go beyond the investigative purposes of the Department or other law enforcement entities depend on next of kin authorization, medical examiner approval and/or the laboratory's availability of methodology and specimens. For tests that require referral to outside laboratories, a fee may be required. For toxicology, the Medical Examiner Coroner retains blood specimens for no less than a year and non-blood specimens for six months. For histology, the Department retains wet tissue for no less than five years, paraffin tissue blocks for ten years and slides indefinitely. For a fee, anyone can request that evidence, biological, or otherwise, be held for an additional five years. The request can be made by filling out the Extend Evidence Request form. If you have any questions you can contact the laboratory via e-mail. After a case is finalized and closed, biological specimens can be split for independent testing. Depending on the amount available, the purpose of the split and authorization, a portion of the biological specimen(s) will be prepared for the requesting party. A fee is assessed for sample split requests. The SEM Lab has two Scanning Electron Microscopes with Energy Dispersive X-ray Spectrometers that utilize automated GSR search software and follows up with manual confirmation of any GSR particles. All results are technically and administratively reviewed prior to release and a general report of the findings is provided for each case analysis. Law enforcement and legal entities can submit GSR Samples to the SEM Lab by any carrier with a reputable tracking system and signature confirmation. The samples for every submitted case should be accompanied by the following downloadable GSR Case Processing Form. The Laboratory analysts can also provide, for an hourly fee, expert testimony for any GSR analysis performed. Please contact the SEM lab via e-mail for more information.